The South Fork Kings is tasked with stabilizing groundwater levels to reach sustainability under SGMA. This involves reducing the near 45,000 acre-feet per year of groundwater overdraft in the GSA, an estimation calculated by the subbasin's groundwater model. 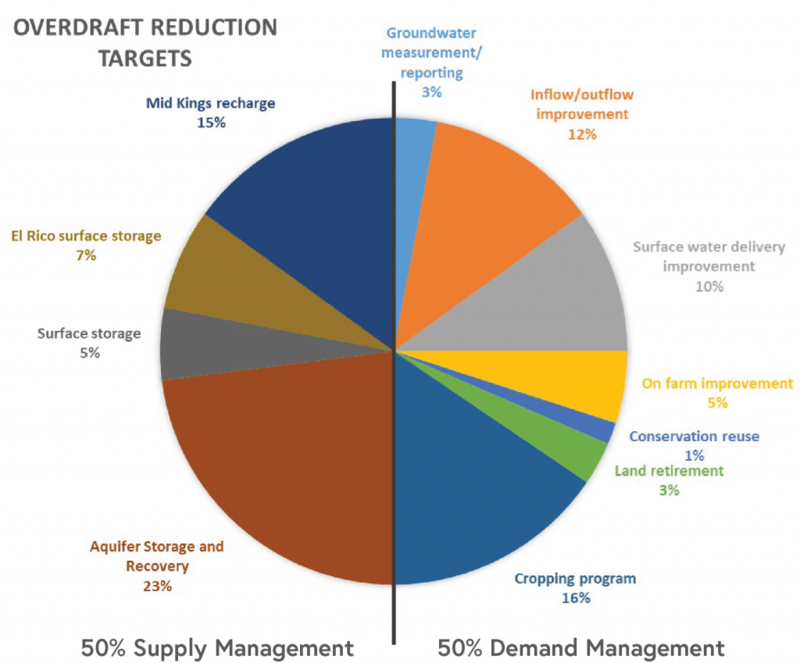 A menu of projects and management actions to reduce the groundwater overdraft was presented by the GSA's technical consultant at the April 18th Board workshop. A combination of supply-side and demand-side solutions will achieve sustainability. Solutions will either increase available water supply to offset groundwater pumping and/or will decrease the demand for groundwater. The technical consultants outlined specific projects and actions for consideration during these next few years of sustainability planning. The percentages represent the proportion of overdraft each item will solve. Please note these proportions and management actions are in preliminary draft form. On the demand side, on farm improvements in irrigation efficiency and water treatment could save an estimated 2,230 acre-feet per year. Land retirement with opt-in incentives and land repurposing, such as solar farms,could yield a savings of 1,340 acre-feet per year. There is potential to cooperate on supply-side projects that benefit the entire subbasin. One example is cost-sharing for constructing recharge basins on especially suitable soils in surrounding GSAs. 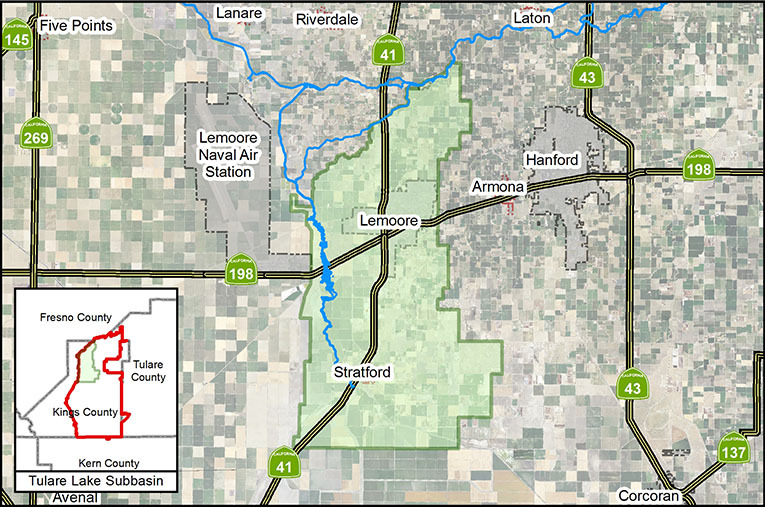 Although primarily used by municipalities, Aquifer Storage and Recovery (ASR), a process in which water is injected into the aquifer for storage and subsequent withdrawal, is being studied for agricultural application. ASR has the potential to reduce overdraft by an estimated 10,258 acre-feet per year. 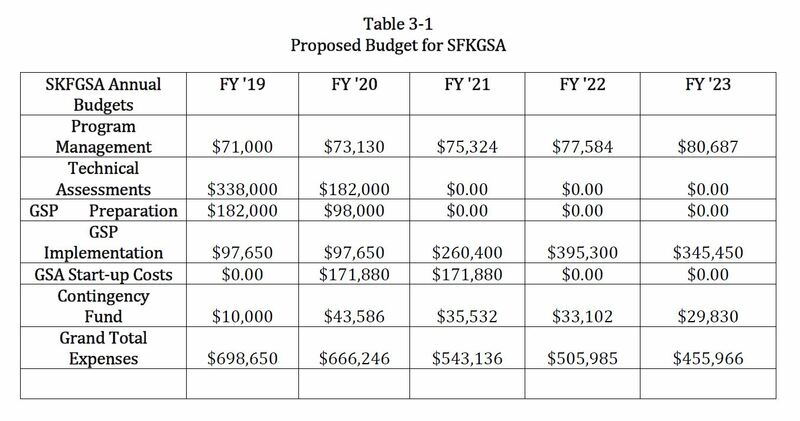 As the South Fork Kings GSA progresses with its Groundwater Sustainability Plan (GSP), balancing SGMA compliance with economic impacts to the service area is a high priority for the Board. Developing creative solutions and adaptive management actions will ultimately drive sustainability success and secure the region's water supply for years to come.